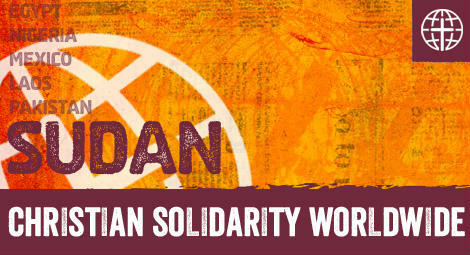 Christian Solidarity Worldwide (CSW) has learned that 25 Muslims are on trial in Sudan, charged with apostasy. The charges against the 22 men and three minors were confirmed by a judge at the Khartoum Criminal Court on 14 December. Although the defendants are charged with apostasy they have not converted from Islam, but follow an interpretation that differs from that of the ruling regime. They face charges of rejecting the teachings of the Prophet Mohammad because their group does not recognise the authority of the Hadith and only follows the teachings of the Qur'an. Local police arrested the 24 men and three children in two groups on 2 and 3 November in the Mayu neighborhood of South Khartoum. They were detained for a month while police investigated the alleged crimes. On 30 November, the minors were released on bail on the condition they attend all court hearings related to the case; however, the court refused to try them separately as required by Sudanese law. On 9 December, the court dismissed two defendants from the trial due to lack of evidence. On 14 December, the court confirmed the charge of apostasy against the remaining defendants and released them on bail pending the next hearing, which was set for 9 February 2016. Earlier this year the Sudanese parliament passed several amendments to the criminal code. Article 125 concerning blasphemy and Article 126 concerning apostasy were extended to include cursing the prophet of Islam, his wives, his household or his friends. Each of these crimes carries the death penalty, however, if a person repents they will receive a maximum of five years imprisonment and an unspecified number of lashes. The new amendments primarily target Shia Muslims but also affect those who, like the defendants, reject the Hadith and believe in following the Qur'an only. Although parliament approved these amendments, they conflict with provisions guaranteeing freedom of religion or belief in Sudan's 2005 interim constitution and do not comply with the international standard of freedom of thought, conscience and religion as guaranteed in Article 18 of the International Covenant on Civil and Political Rights (ICCPR), to which Sudan is a signatory. The amendments are of particular concern as Sudan is currently conducting a national dialogue process to produce a new constitution. Since South Sudan became an independent nation, President al Bashir has repeatedly stated that the new constitution will be 100% Islamic. CSW Chief Executive Mervyn Thomas said, "We are deeply concerned by the expansion of the apostasy legislation and the charges faced by this group of individuals, and particularly the minors, whose treatment violates the Convention on the Rights of the Child (CRC). The government has a responsibility to protect and uphold freedom of religion or belief, but does not have the right to determine what passes as acceptable religious practice. We call for these charges to be dropped unconditionally and for the international community to hold the Sudanese government to account under the international treaties to which it is party."